Page revised in January 2011. Giuseppe Vasi was born in 1710 in Corleone, Sicily. 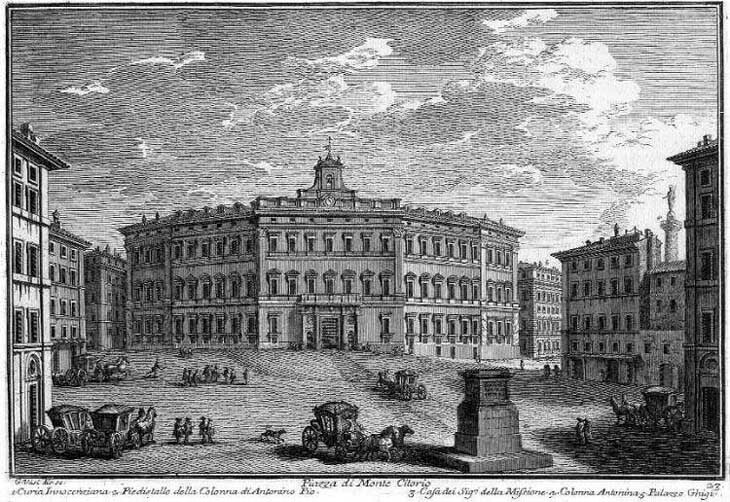 He published between 1746 and 1761 ten books of etchings showing the monuments of Rome. At that time, with the completion of Fontana di Trevi, of Porto di Ripetta and of the Spanish Steps, the whole period of Baroque in Rome was coming to an end. In a few years a wave of neoclassical revival will progressively criticize and despise the works of Bernini, Borromini and their followers. Giovan Battista Piranesi, who started working with Vasi, privileged the views of the Roman ruins, but Vasi was perfectly happy with "modern" Rome. An architect himself he paid attention to all the details of the churches and the palaces he showed in his etchings. The Books are organized by subjects (gates, churches, palaces, villas, etc). You can reach the etchings also by consulting a Map Vasi published in 1781. Vasi shows all the details of Baroque Rome, but also most of the monuments of Ancient Rome, Medieval Rome, Renaissance Rome and Mannerist Rome. 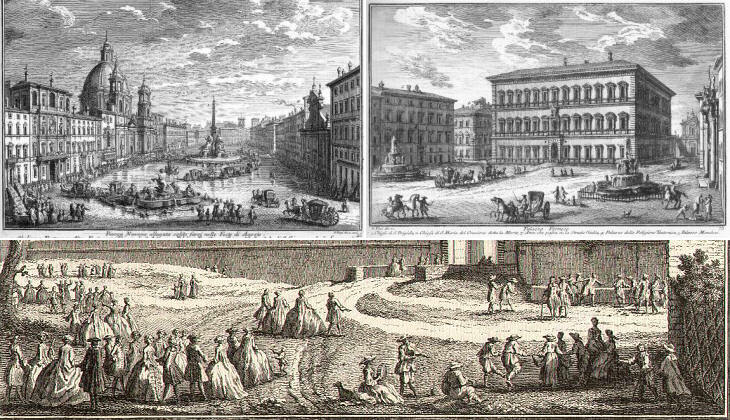 The etchings are shown together with images of today's Rome. See the page with today's views of the piazza and of the palace! This site includes also History and Art in the Coats of Arms of the Popes, and sections on the Venetian Fortresses in Greece on Istanbul and on many other locations. You may wish to see the Detailed Index or the Directories of the site. You may start by getting familiar with Rome by looking at the Map of the Walls of Rome. This site is complemented by another site on the itineraries suggested by Vasi to visit Rome in eight (very busy) days.